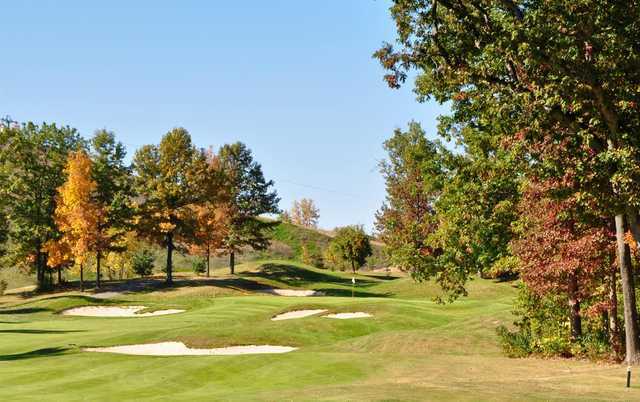 Sprawling across a majestic landscape covered with spring-fed ponds and mature oaks, The Golf Club at Mt. 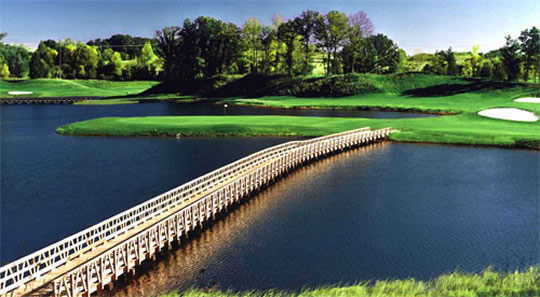 Brighton offers a challenging round as well as stunning scenery. 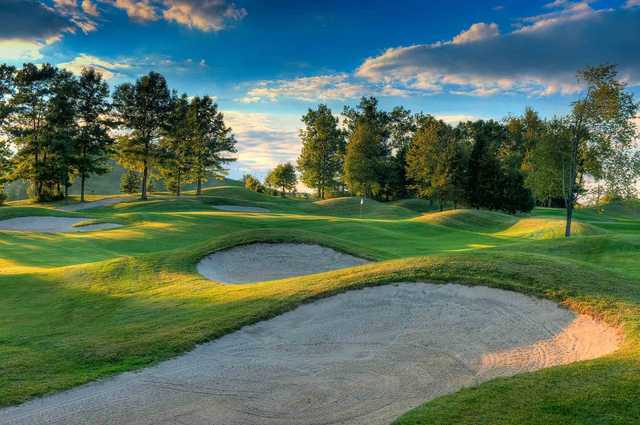 The golf course shares the grounds with a ski resort, guaranteeing a variety of dramatic elevation changes throughout. Club selection is the key to doing well on this course. Accuracy is also an important factor. 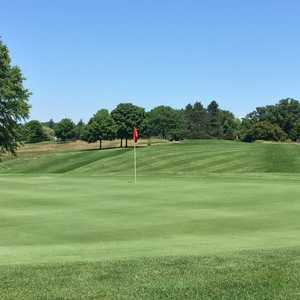 The tricky greens are balanced by generous, player-friendly fairways. Acres of natural wetlands, including a cascading waterfall, have been incorporated into the design. There are also numerous strategically placed bunkers along the greensides. 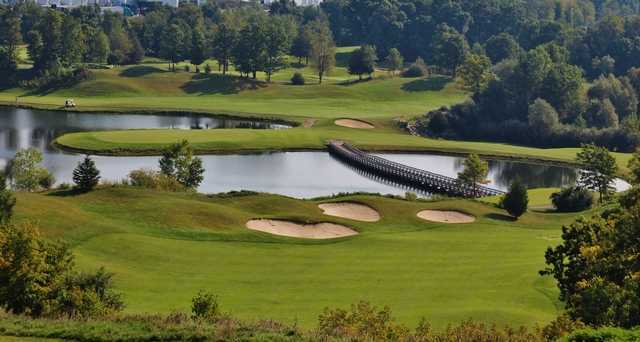 The layout opens with a dramatic, downhill par 4 that offers a panoramic view of the course. In addition to the golf course, The Golf Club at Mt. Brighton also offers a grass driving range. The course is interesting. The views of greens and fairways are nice, but there is a lot of off season ski and construction items detracting from the overall appearance. Not a course for beginners or leagues. I had a problem with the staff at the pro shop desk, as they had no desire to be courteous, or helpful. I owned and operated a retail business for 27 years so I understand customer service. The new ownership of Mt. Brighton should pay attention to the golf course, not just the ski lodge. Good stuff! This course makes you use every club in your bag. Great shape and a very curtious staff. Fun and Challenging all rolled into one. Great golf course! Fun and makes you hit every club in your bag. Friendly staff and good deals. Great place to play! In good shape and very friendly staff. Had lunch afterwards in the bar and food was good as well. 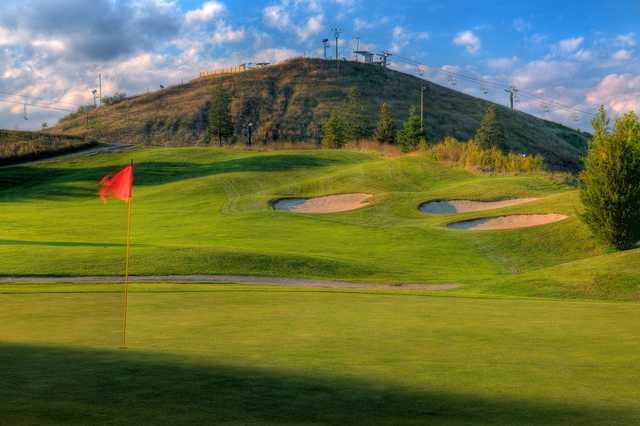 I love this course especially the first hole which is at the very top of the ski hill..you are so far up and have to hit down to the first green...the course is somewhat challenging..Ilose alot of balls, water & woods. 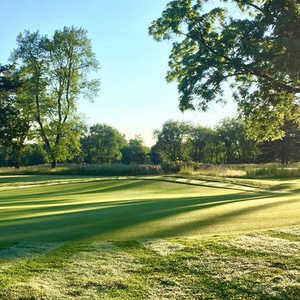 The people who run this course is very friendly...I just can't say enough good about it.My friends and I play it often....this is a must play course, add it to your list. Scratch or high handicap players it works for both.